Will George Porter Get His Due? Giving birth to another post about George Porter has been protracted and painful. The "former sergeant of militia" and Town of York carpenter has long been a pet research peeve for me. Various research avenues were explored on this blog (see "George Porter" on the Labels list at the right hand side of this blog) for his mysterious origin and disappearance. Details about the man do not have to be repeated here. When excavations on King Street East, Toronto, revealed "Toronto's first house" George came to haunt me yet again. That was 2013, uncovering the foundations of Berkeley House, once-grand residence of the Small family. The media picked up on it with glee over John Small's social prominence and his infamous duel in 1800. Yes, John Small ― clerk of Governor John G. Simcoe's executive council ― constructed the home; but little was made of remains of the log "fishing cabin" within its walls. The log house was built by George Porter who sold it to Small on 31 August 1795. As construction continued for a new seventeen-storey building where The Globe and Mail will be the major tenant, my unease grew that John Small would get credit for "Toronto's first house." In 2015 I contacted the Globe with information about George and my hope that the historical artifacts would have public space. I was assured by the editor that "something related to the history of the site" would be displayed in the building lobby. That answer did not quell my fear that George would be ignored. I was beginning to feel like an advocate for a forgotten man, not necessarily even an upstanding citizen: one who apparently abandoned his wife and four children by 1800. Then again, John Small was not entirely a paragon of virtue in his work habits. Only recently did I locate the Stage 1 Archaeology Resource Assessment about the property, prepared for the developer by Archaeological Services Inc. (ASI). It has a most excellent summary of how the Town of York was created and detailed discussion of the particular property's subsequent history. With some relief, I learned that their researchers had indeed found the documentary references to George. What they didn't say or emphasize was that Small was more or less forced to live in the purchased log house for some years; surely it was a bit more comfortable than a fishing hut or cabin. Title to the property was delayed while the government sorted out its overlapping reserve where the parliament building was to be built. Small clearly chose to expand around the log house as the "central core" rather than build a separate home. For unknown reasons his son Charles Coxwell Small in the 1840s again preserved the basic log structure when making additions. Questions remain, of course. I ask myself why George? On his 1793 plan of York, why did deputy surveyor Alexander Aitken choose to put carpenter George Porter, of all people, in possession of Lot 1 Block 1? Were the men friends? It almost smacks of a kind of favouritism. 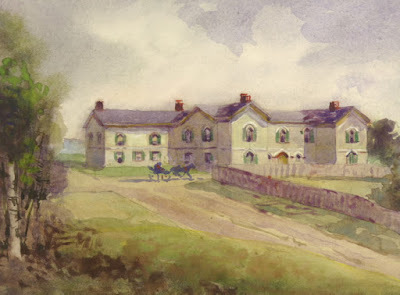 After all, more important figures would expect prime town lots along this main street, men figuring in Upper Canada's administration and commerce. Also, should I take issue with the "fishing cabin" moniker? The phrase "as a fishing hut" in the Report is in quotation marks. I cannot find a specific reference to whom might have said it, other than the AIS Report. George Porter consistently called it "my Log House." So did John Small refer to a house. The AIS report cites four sources for the paragraph in which "fishing hut" is used. None of them ― the published Simcoe Papers, Peter Russell's edited letters, Firth, Mosser ― use that term. John Small, Upper Canada Land Book F, pp. 359-361 (1805); Library and Archives Canada microfilm C-102. The log house certainly predated 1795, possibly back to York's founding in the summer of 1793, and is what the ASI Report calls "unquestionably the oldest dwelling house within the Old Town of York." Are they referring to Berkeley House or the "fishing hut"? Altogether, George was in York for a relatively short time in a modest occupation, whereas John Small was a firmly planted member of the establishment ... whose name does history remember? Who will get credit for "Toronto's first house"? John Allemang, 7 October 2013, "Archaeologists find link to 200-year-old scandal under new Globe home," The Globe and Mail (http://www.theglobeandmail.com/news/toronto/archeologists-find-link-to-200-year-old-scandal-under-new-globe-home/article14719339/). A true copy of the sale document is in the D.W. Smith Papers, S126, B6, p. 229, Baldwin Room, Toronto Reference Library. Edith Firth in The Town of York 1793-1815 (Toronto: Champlain Society/University of Toronto Press, 1962), 223, cites the Ridout Papers at Archives of Ontario (AO) for the same information. "John Small," S.R. Mealing, Dictionary of Canadian Biography Online (http://www.biographi.ca/en/index.php). 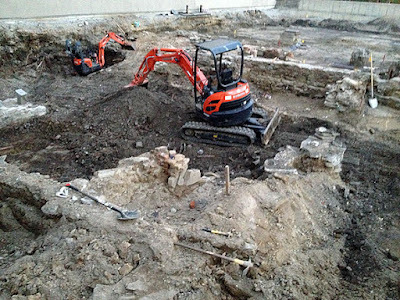 Archaeological Services Inc., Stage 1 Archaeology Resource Assessment of 333 King Street East (https://www1.toronto.ca/city_of_toronto/city_planning/community_planning/files/pdf/333king_archaeological.pdf). Hereafter ASI Report. 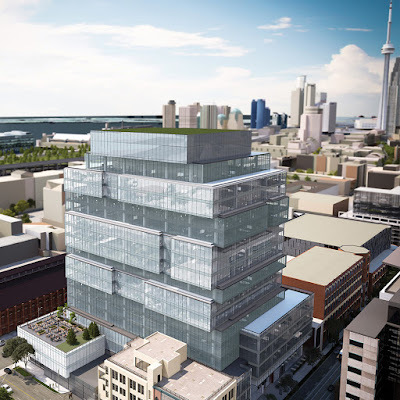 "333 King Street East" refers to two buildings including the relevant property at 351 King East. ASI Report, 13. The paragraph in which "as a fishing hut" is quoted cites Cruikshank 1931:241, Cruikshank 1935:100-101, Firth 1962:223, and Mosser 1984: 5, 13 ― without a footnote to the specific phrase. Neither Firth nor Mosser (York, Upper Canada, Minutes of Town Meetings and Lists of Inhabitants 1797-1823) use the term. The first two are collections of papers and letters of Governors Simcoe and Russell edited by A.E. Cruikshank for the Ontario Historical Society and the references to Porter do not mention the structure. D.W. Smith Papers, S126, B6, p. 229, Baldwin Room, Toronto Reference Library. See Note 2, and Land Book F image above.